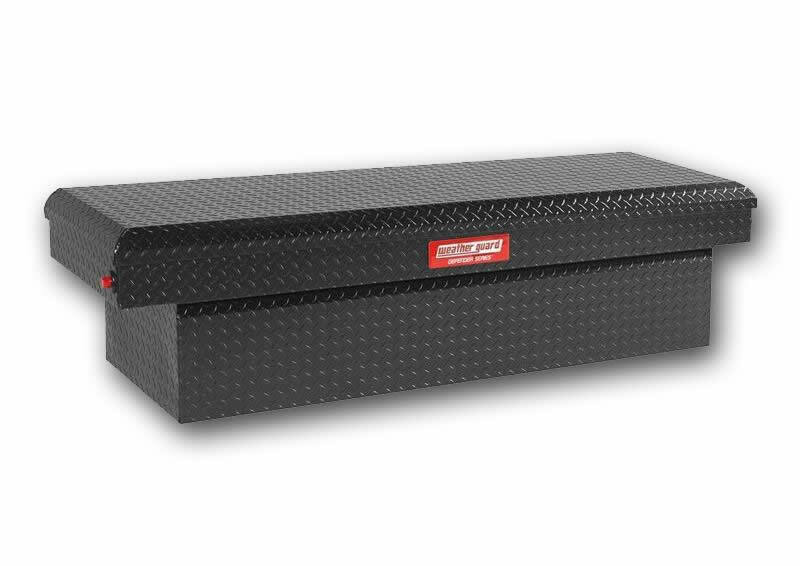 Auto Add-ons keeps your tools safe and organized with premium truck tool boxes. These rugged truck tool boxes come in a variety of different sizes to meet your specific needs including for crossover, top-mount, or side mount truck tool boxes. Our truck tool boxes add functionality and value to your truck. They protect your tools and gear from weather conditions and theft and maximize the your truck bed storage. We carry top quality Truck Tool Boxes by Delta, including Delta Champion and Delta Pro, Jobox, Brute Commercial Grade Contractor Boxes, Weatherguard, Packrat, DeeZee, Undercover, Highway Products, Corbox and more. Our selection includes a wide variety of designs and styles for Truck Tool Boxes including aluminum and steel and poly-plastic storage. Choose from Single Lid and Dual Lid crossover saddle boxes, Low-sider innersides, High Side Contractor Tool Boxes, Underbed Boxes, fifth wheel toolboxes, wheel well porkchop boxes and more. Better Organization: First and foremost, a truck toolbox helps you organize your tools, making them much easier to find. This will save you time and, as a business owner, time is money! Improve Appearance: In the business world, appearance is everything. Don’t give your customers the wrong first impression as you rummage through your truck bed, looking for the right wrench. Protection and Security: Tools are not cheap. So why leave them in your truck bed where they are exposed to the elements or worse, sticky fingers. Rain, sunlight, and extreme temperatures can wreak havoc on your tools if they are left out in your truck bed. A toolbox helps protect your tools from the elements and theft. 1How are truck tool boxes mounted? Truck tool boxes usually sit in the bed of your truck directly behind the cab. They attach under the rail of the truck to keep them in place. 2What size is a truck tool box? Truck tool boxes come in various sizes and styles, but most are 4-6’ long by 18-30” wide. 3Can I get a a tonneau cover that will work with my truck tool box? Yes, one customer favorite for this is called the swing case. It mounts behind the wheel well, a genius idea as that is often the most wasted space in a truck box. You can also get many tonneau covers that sit behind a tool box. This is a nice option if you want more storage than a swing case and quick access, without opening your tailgate. 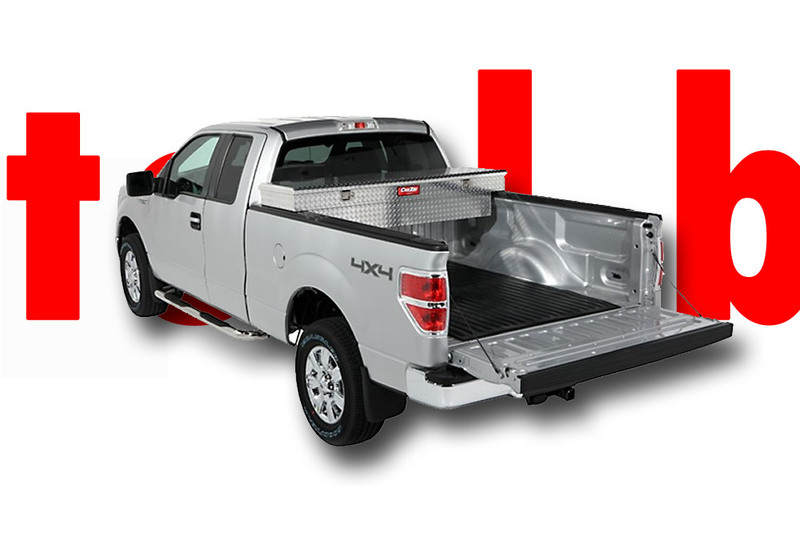 Another option is a tool box/cargo box that sits under the tonneau’s cover.